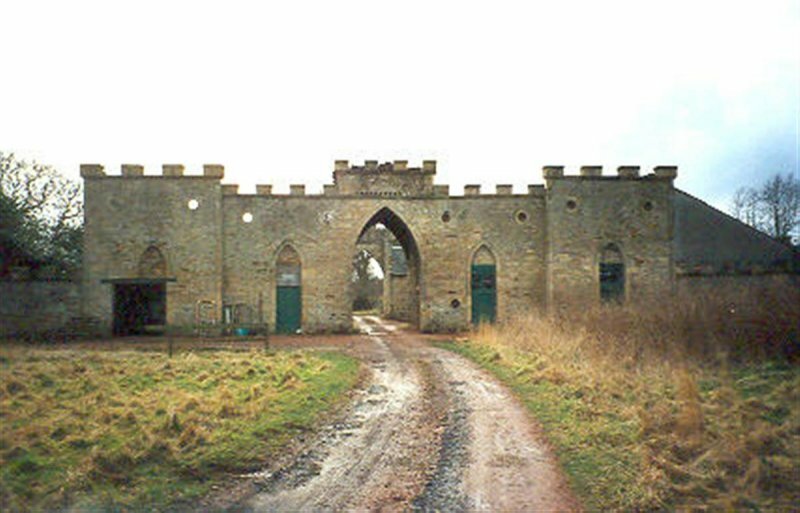 Gothick stable range with battlemented entrance screens. The central courtyard is bordered by 2 storey rubble and slate buildings with a variety of openings and loft entrances. February 1989: Manchester-based Peel Estates apply for a 15 year permission to extract sand and gravel from the surrounding grounds and to instal a plant. SCT does not oppose the general principal of mineral extraction, but expresses concern at the effect on the setting of Avondale and therefore proposes that extraction be limited to the south east of the site. The house, surrounding land, and mineral extraction rights are subsequently purchased by Goalday Ltd. December 1990: External inspection reveals a caretaker to be in full-time attendance in the house, but the site to be otherwise unused. 25 June 1992: Press reports note that a Glasgow developer wishes to develop the site into a leisure and golf complex. Meanwhile, Goalday Ltd is considering applying to use those areas dug out during mineral extraction for landfill purposes, rejecting a previous agreement with planners to lower the ground by between 2 and 8 metres and return it to grazing. September 1992: An application for landfill use is submitted. SCT expresses concerns at the effect on the setting of the house and its outbuildings. 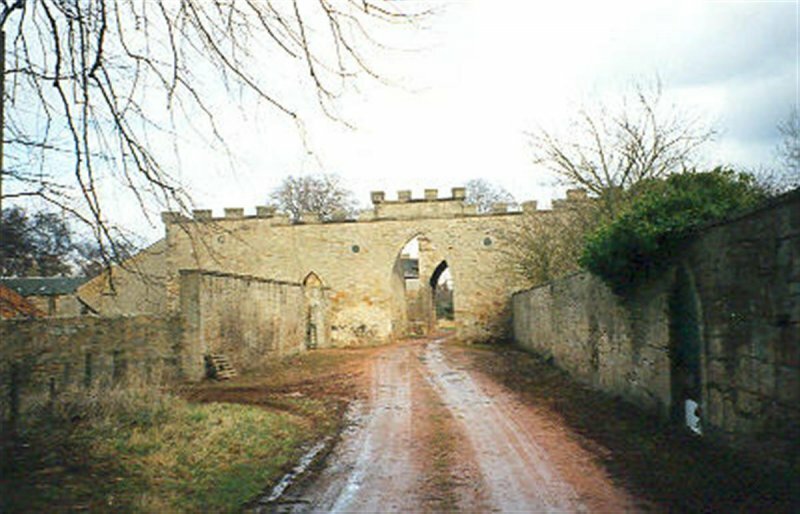 December 1993: The Garden History Society objects to an application to extend mineral extraction, and instead stresses the importance of conserving, and if at all possible, reinstating the historic landscape. 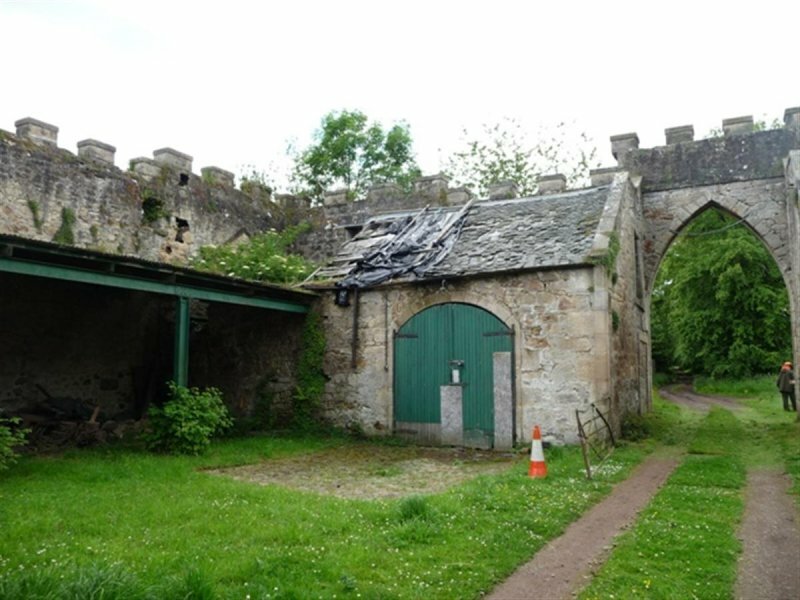 July 1994: The owners confirm that they have undertaken a legal agreement with Falkirk Council to restore all listed buildings as part of further planning consents. Restoration would commence 3 years after consents were obtained. October 1994: Planning Permission for the landfill site is refused. December 1994: An appeal is lodged against the decision. 20 January 1995: The Linlithgow Journal and Gazette reports that the Public Inquiry may not sit for another 12 months. 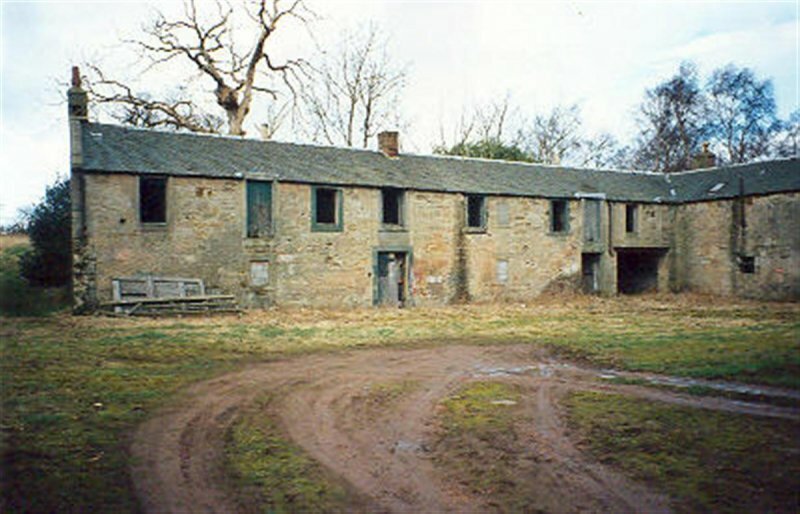 November 1996: Goalday Ltd is successful in its appeal, and Planning Permission is granted with attached conditions relating to the restoration of Avondale House and its Stables. February 1998: SCT understands that negotiations with interested private restorers are now advanced. 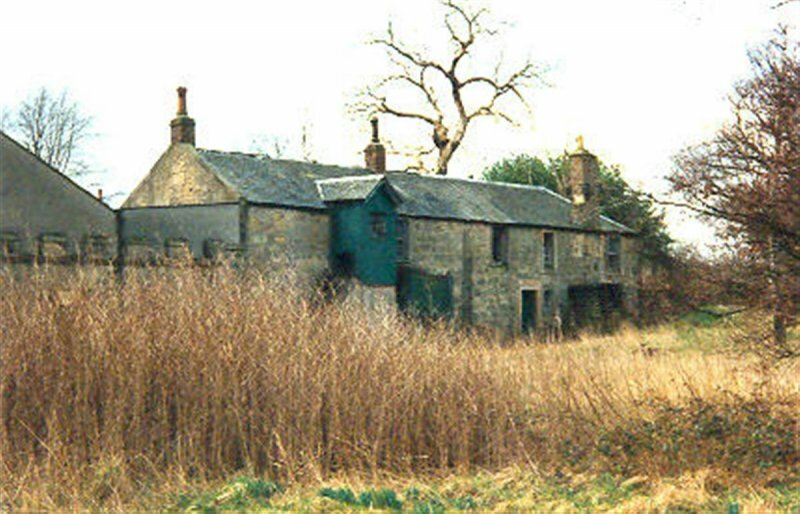 May 2001: Planning Permission and Listed Building Consent are granted for the part restoration of the stables to form a private dwelling. 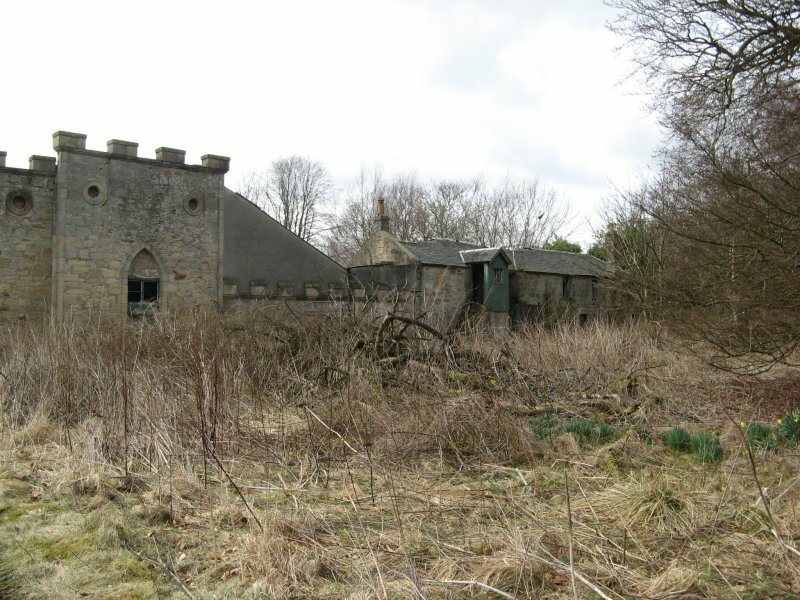 June 2006: The owner reports to SCT that plans for conversion of the stables (and main house) are currently on hold until such times as adequate funds are raised for the works. 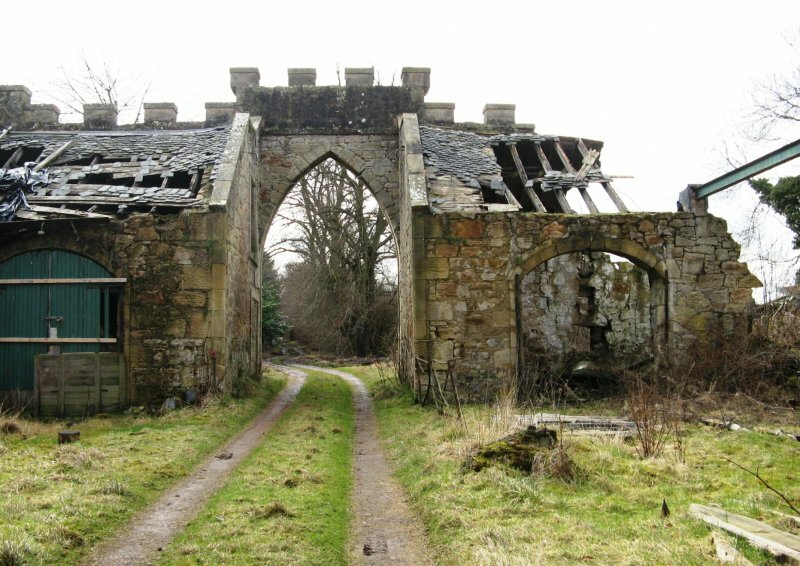 December 2007: SCT is contacted by the owner of Avondale House - restoration plans being brought forward to Spring 2008 when funds for the work will become available. 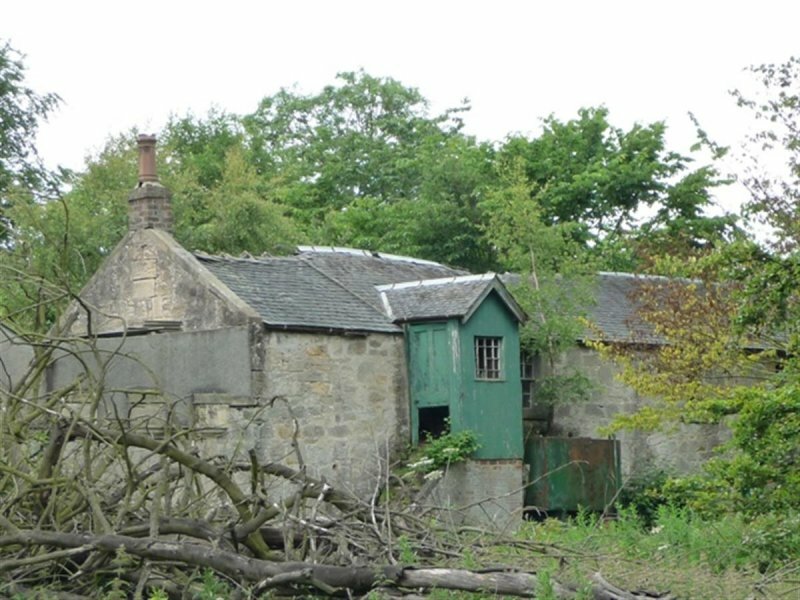 The property will be restored as a family home. Owner contact details removed from record as the property is not for sale. June 2011: External inspection finds the building has deteriorated significantly since our previous visit. Several sections of roof have collapsed or are sagging dangerously. Trees and bushes on and around the building threatens its stability. Local planners report the permissions granted for the restoration of the stables and the associated house have now expired (ref: F/99/0685 & F/99/0515) the owner is understood to have approached a local conservation architect with a view to preparing revised schemes for the restoration of the stables into 2 houses, then allowing for a later restoration of the house. 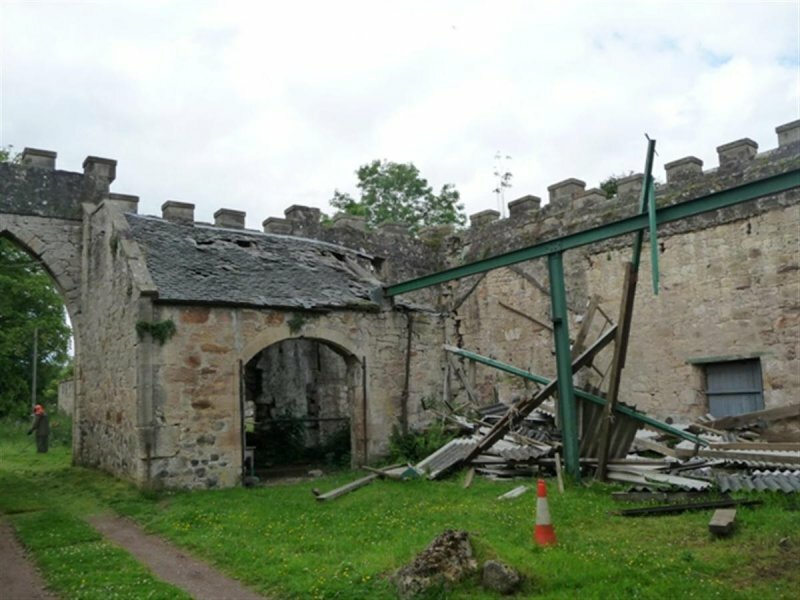 26 April 2013: BARR is advised that part of the stables has collapsed during recent poor weather. 13 March 2015: External inspection finds continuing decay evident, risk level moved to High. 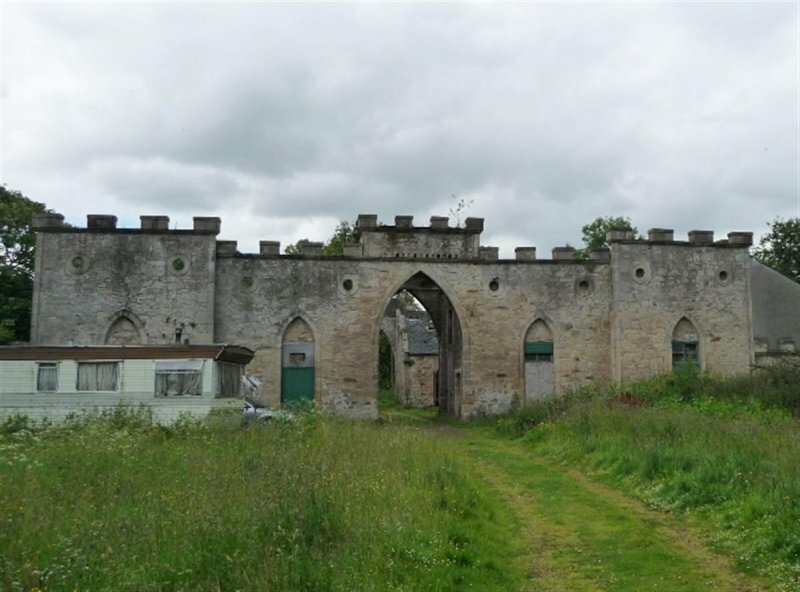 29 June 2018: Local planners advise the site is now being marketed for sale. 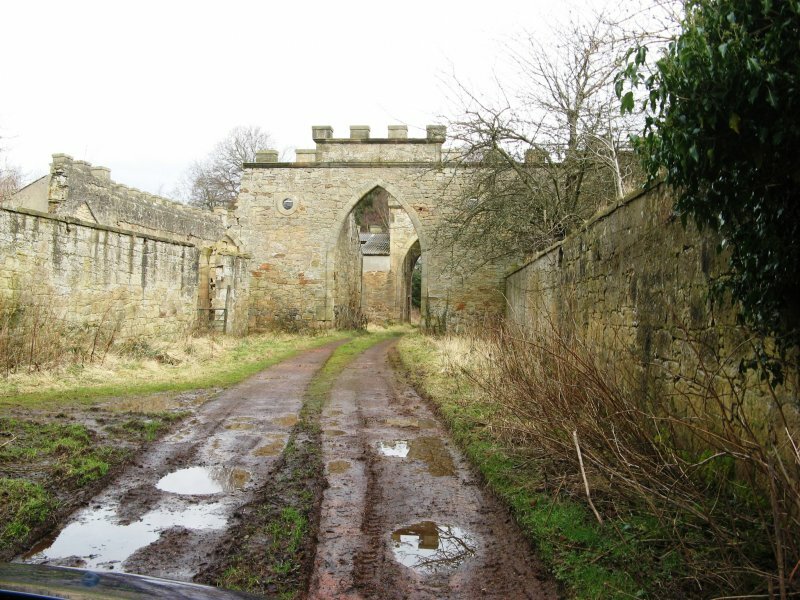 A guide price of £200,000 for the house, stables & surrounding land is being sought by appointed marketing agent, Rettie. Dean and Miers (1990), p28; Jaques (2001), p125.